I am a fully qualified and UK registered Craniosacral Therapist working in private practice since 10 years. Through my extensive training and busy practice I have given hundreds of treatments working with people of all ages. Because Craniosacral Therapy is a safe and supportive therapy it has been a pleasure to witness how it can support people through their illnesses and ailments. I provide a safe environment where I can facilitate an opportunity for your body to relax and settle, which in turn will allow you to let go of stresses. Everyone is welcome. My training has allowed me to specialise in working with mothers, babies and children, trauma, stress and chronic fatigue. I can also provide one to one coaching sessions in 'Emotional Alchemy' and also offer monthly sisterhood circles in North London/UK. 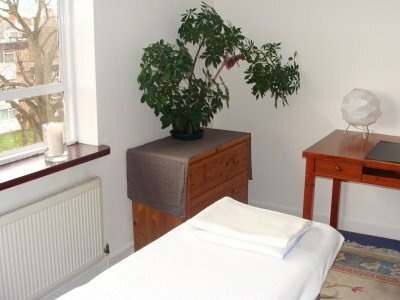 You can book a treatment with me at my clinic in East Finchley. For more information about Craniosacral Therapy I invite you to click through my website or take a look at the CSTA website.